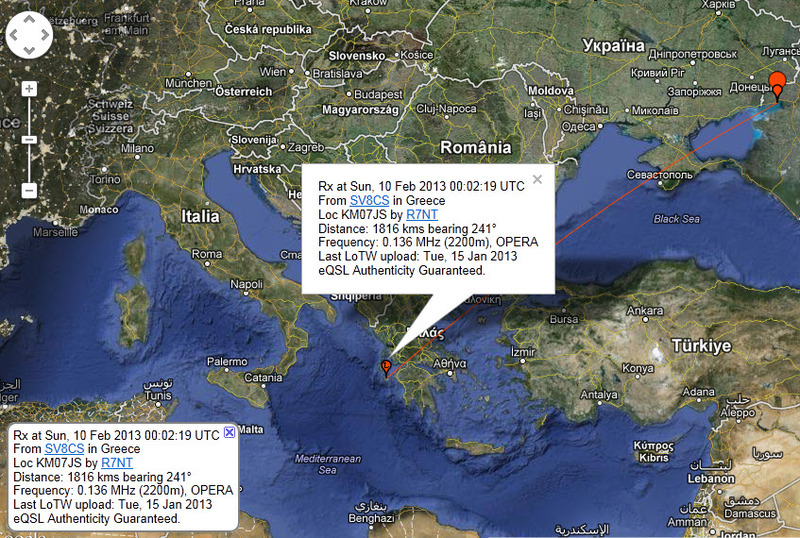 At 00:02z 10/02/2013 I had my first decodes on 137.550KHz using Opera program in OP32. 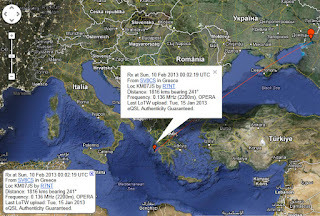 DL-SWL near Wolfsburg at 1830Km and R7NT in KN97LF at 1815Km. To set my YUMA TX136 transmitter to TX in opera, Graham G0NBD help me a lot. TNX Graham. Also last night I had again very nice captures on the DK7FC and YO/4F1RF grabbers sending (the traditional) QRSS-60 CW mode. My output power is estimated to be less than 0.5W. YUMA transmitter has not a good stability when TX in qrss-60. I added a 12v Fan to cooling the "box" and the stability was very good. I hope for a QSO on 136KHz band.